In this paper we consider the hardware and computational requirements of practical decoders designed to implement our efficient minimum distance algorithm for convolutional codes. Firstly, we derive and evaluate upper bounds for the number of decoding operations required to advance one code segment, and show that significantly fewer operations are required than in the case of sequential decoding. This implies a significant reduction in the severity of the buffer overflow problem. Secondly, we propose modifications to the algorithm in order to further reduce the computational effort required at long back-up distances, at the expense of only a small loss in coding gain, and discuss the trade-off between coding gain and storage requirement as an aid to quantitative decoder design. 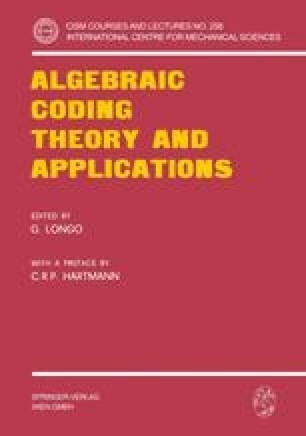 Finally, the performance and construction of decoders that utilise hard and soft-decision sub-optimum forms of the algorithm are described.